A new build offers you unrestricted freedom in making decisions, from the technology to the floor plan. 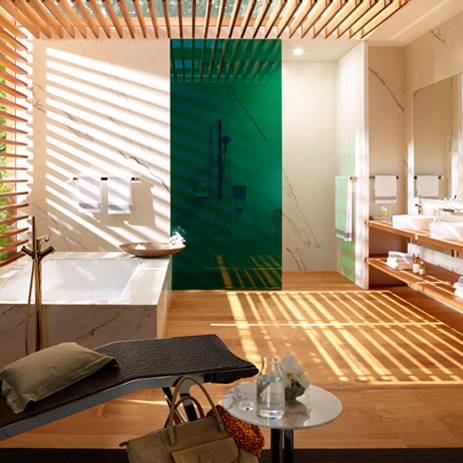 Consider first: Who uses the bathroom, is it a single person or a family, and what does the bathroom need to offer – should it be a puristic solution or a wellness bathroom? 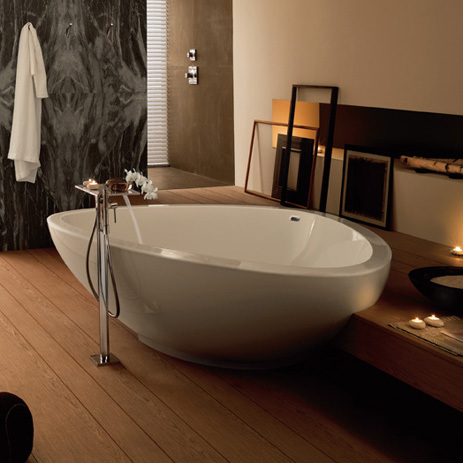 Are you aiming to create a place of retreat or an open-plan bathroom that is combined with the sleeping area? Moreover: you also need to take into account possible future needs. Your investment in the bathroom needs to be a permanent one. 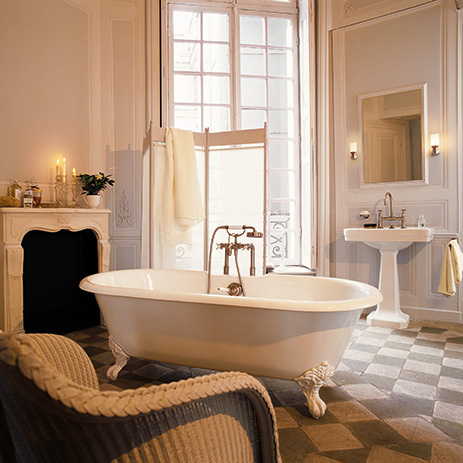 Then, establish a budget: the bathroom can be compared with the expense involved for a kitchen: anything is possible, ranging from a modern, functional solution for a four-figure sum through to a customised oasis of wellness costing many times more. 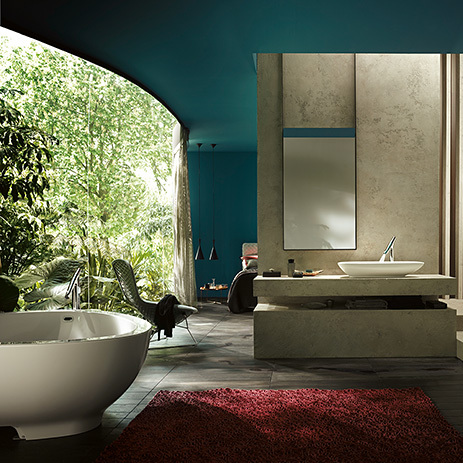 If the bathroom is going to be something particularly exclusive, then there are no fixed price boundaries. Decide on a style at an early stage: this makes it easier to search for suitable products and combinations. 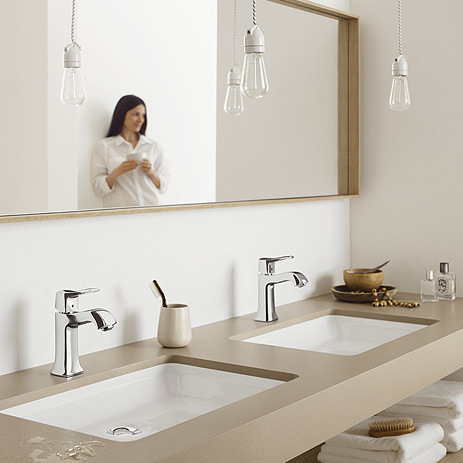 Hansgrohe and the designer brand AXOR make a distinction between the Avantgarde, Modern or Classic styles. 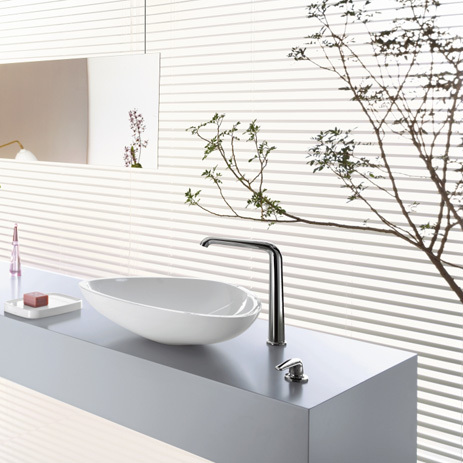 Moreover, AXOR offers solutions and inspirations for a wide variety of individual bathroom lifestyles: purist, minimalist, natural or even organic. Take your time and be inspired! 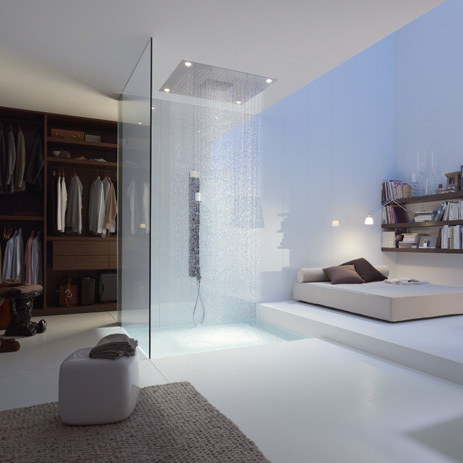 Your first decision: What do you want the bathroom to look like? Find out all about technical innovations and create a solid foundation for planning your new build. 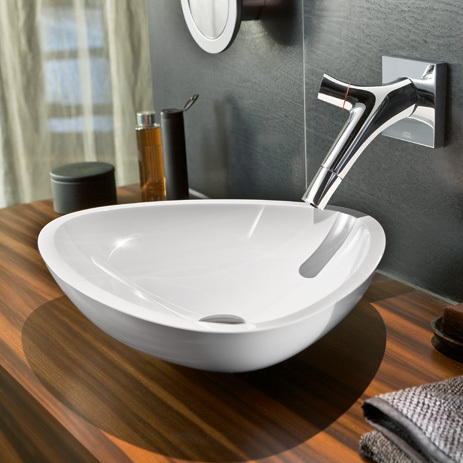 Having an in-depth discussion with your local sanitary professional may help you in this regard. You can then use this background knowledge to let the architect or interior designer know exactly what you want. 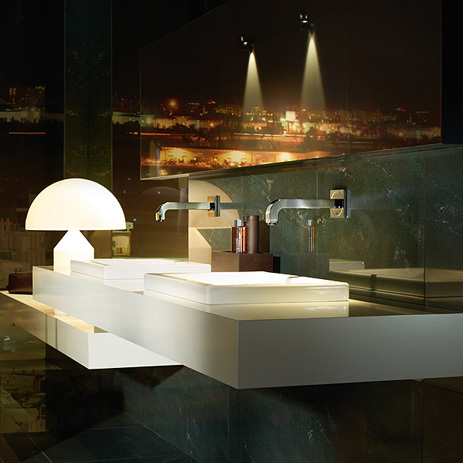 Future-proof with Hansgrohe: Even if you opt for a concealed installation solution, Hansgrohe still offers you plenty of flexibility: if you are working on a new bathroom, for example, you can opt for an economical product from Hansgrohe now, and then in the future you can replace it with a top-quality solution at no great expense. 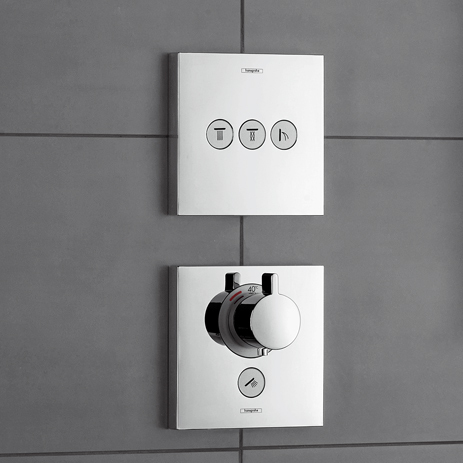 The revolutionary basic set from Hansgrohe, the iBox universal, is compatible with all concealed mixer and thermostat solutions from AXOR and Hansgrohe. 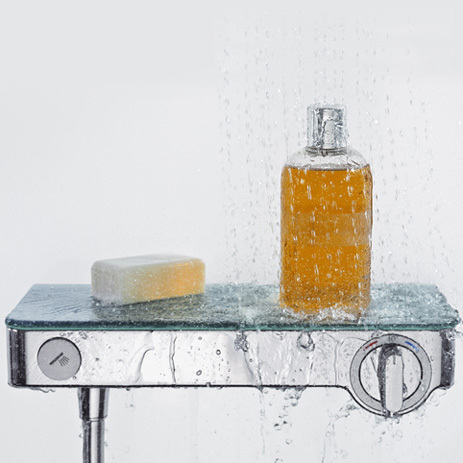 Did you know that floor-level showers can be installed practically anywhere? 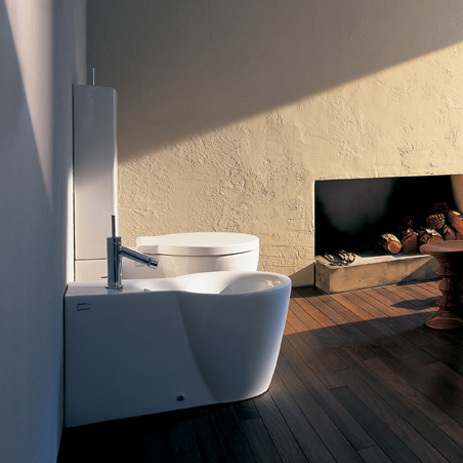 This kind of cross-generation bathroom is ideal for families with children because it minimises the risk of tripping. But even in a one-person household, it makes provision for the possibility that one day that person's mobility might be limited. 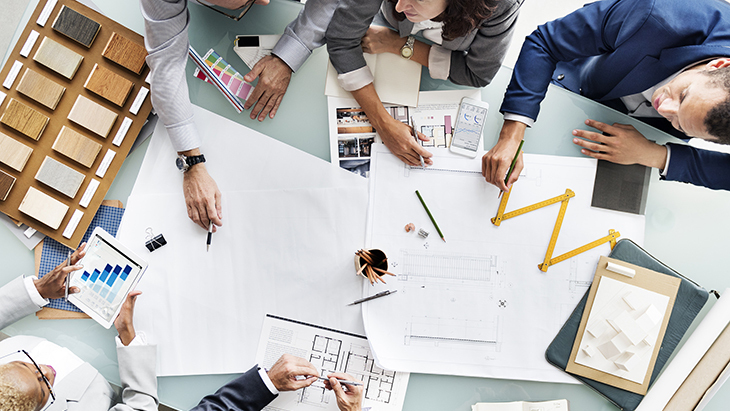 Forward planning not only helps you take care of current requirements in terms of convenience, it also ensures that you are investing in the future value of the property.